Precious metals were little changed Thursday. Gold was alone in gains, and finished at a more than three-week high. Gold for February delivery — the new, most active contract — edged up 60 cents, or less than 0.1%, to settle at $1,230.40 an ounce on the Comex division of the New York Mercantile Exchange. The settlement was the highest since Nov. 5. "Technically, the gold bears still have the overall near-term technical advantage but the bulls have gained some upside momentum late this week," Jim Wyckoff, a senior analyst at Kitco Metals Inc., said in a report. "Gold bulls’ next upside near-term price breakout objective is to produce a close in February futures above solid technical resistance at the October high of $1,252.00. Bears’ next near-term downside price breakout objective is pushing prices below solid technical support at $1,200.00." 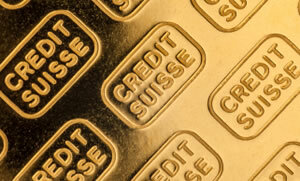 Gold futures ranged from a low of $1,226.70 to a high of $1,234.90. They gained 0.8% on Wednesday, they lost 0.7% on Tuesday — ending at their lowest price since Nov. 14, and they dipped less than 0.1% on Monday. Silver for March delivery — the new, most active contract — shed 5.3 cents, or 0.4%, to settle at $14.402 an ounce. Silver futures traded between $14.34 and $14.47. They advanced 1.7% on Wednesday, they declined 0.9% on Tuesday — also ending at their lowest price since Nov. 14, and they fell 0.3% on Monday. January platinum declined $5.40, or 0.7%, to $820.90 an ounce, ranging from $818.90 to $832.50. Palladium for March delivery slipped 50 cents, or less than 0.1%, to $1,151.40 an ounce — $3.20 lower than the record set on Nov. 16. Palladium prices traded between $1,141.30 and $1,158.20. Gold rose $13, or 1.1%, to 1,226.25 an ounce. Silver added 11.5 cents, or 0.8%, to $14.265 an ounce.